As this is the last Fisherman Style for the year we thought it would be a good time to reflect on the year that was and have a killa Xmas party at the same time. 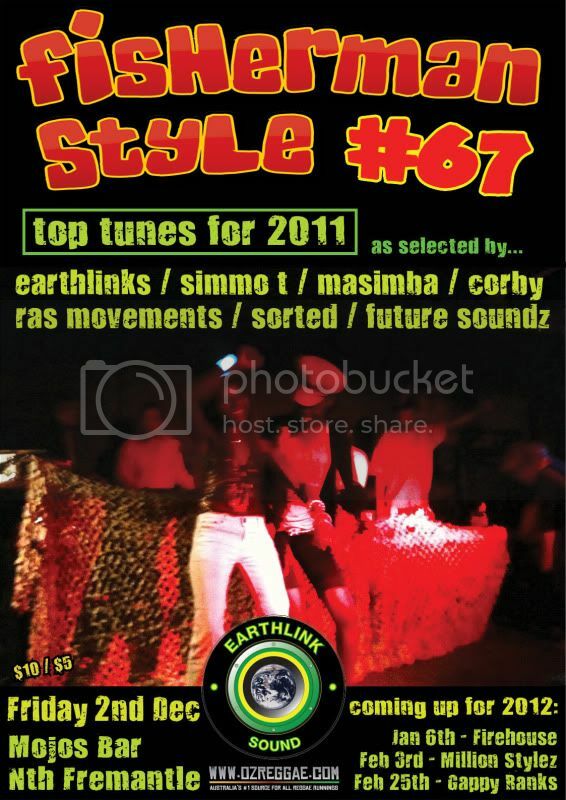 Playing their favorite tunes of the year this months stellar line up sees Earthlink Sound joined by regulars SimmoT and Sorted with local heavyweights Future Sounds, DJ Corby, Masimba and Ras Movements. Last month was maaaaaaaaad and this month is going to be massive so make sure you get down early!!!!!!! Runnings start from 8pm with entry free until 9pm then it's $10 pressure on the door. Million Stylez !!!! awoah !!! good idea for a dance, hope this goes well!